Vintage milk glass pendant from the 20th century. 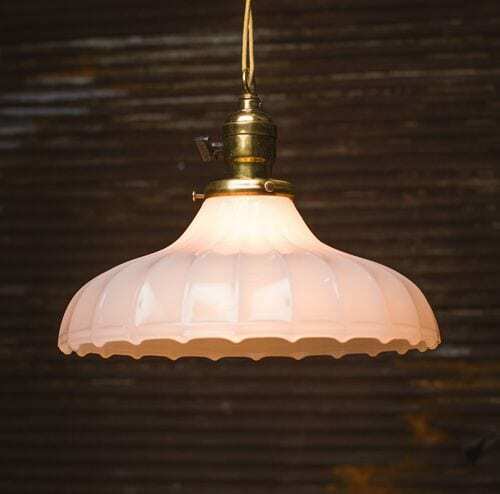 The fluted shape and delicate pink color add a subtle, feminine touch. Brass canopy and Weber electrical components.